OPINION | Should We Start Calling ‘Black Collection’ As ‘Muharram Collection’ For Precision? Muharram, regarded as a holy month for its association with the family of the Holy Prophet (saww) and the immortal sacrifice of Karbala, holds a sacred place for every Muslim. However, with bringing the essence of sacrifice and humanity back, there is also a new recurring trend that we have been witnessing since past couple years – clothing brands and their new ‘collections’ at this time of the year. From Azaadi collection on Independence Day to special discounts on Defence Day, it is quite evident that Pakistan’s flourishing clothing industry has learnt the art to capitalize on every major and minor opportunity. 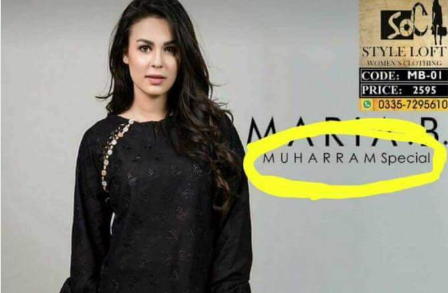 If you remember how last year Maria B replica shared an image of a model, wearing an all-black suit, labelled as ‘Muharram Collection’ on the advertisement, set the internet on fire – you must also remember how it raised questions about the marketing tactics on moral grounds. However, this year, the trend is continued but under acceptable or lesser controversial names. 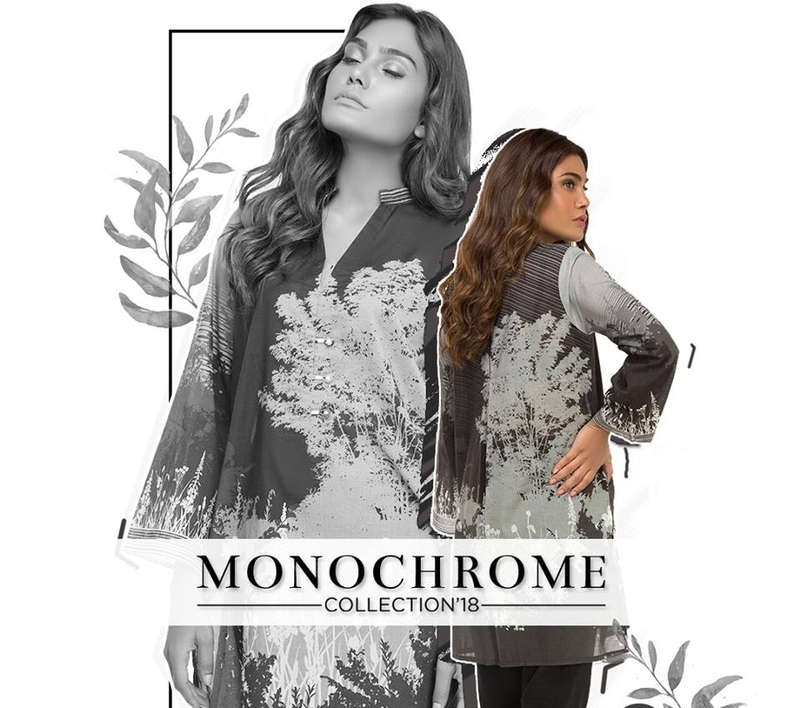 Monochrome collection, Black and White collection, Pre-fall collection or Mid-season collection, the names may vary but there is one similarity among – all include black clothes. 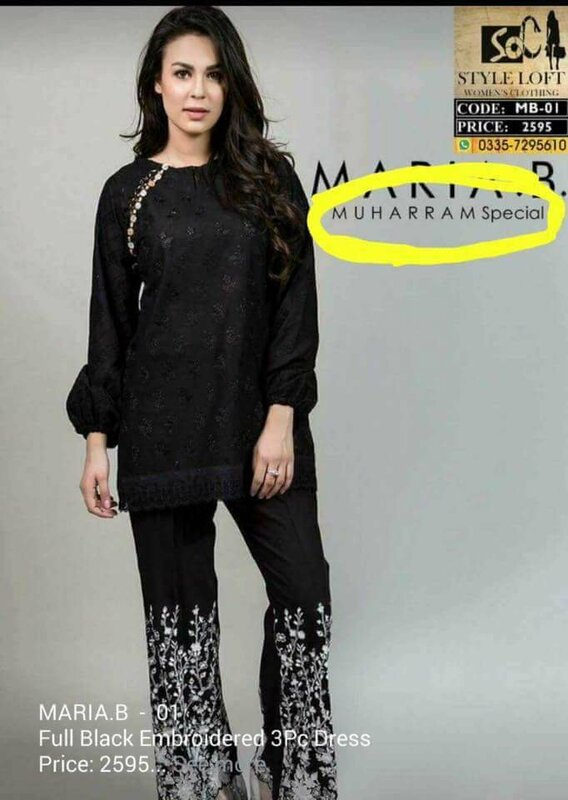 Previously the brands used to launch new collections on festive and celebratory events but now apparently we are also seeing them on religiously sensitive events to target a specific segment of the customer base which wears black as a sign of mourning and protest. Purchase definitely remains a personal choice and one can opt out for looking at them and move on. But the while these brands are where they are because of their customers, is it appropriate for them to be blinded to their sentiments when it can potentially offend them? Leaving that on you to decide and share! What do you think about this? Share your thoughts with us in the comments bar below.